Gingivitis is a bacterial infection whose symptoms include an inflammation of the gums. It is a result of poor oral hygiene causing bacteria to accumulate in the mouth cavity and cause an infection. The failure of sufficient teeth brushing or flossing results in an accumulation of harmful bacteria in the mouth. This has a medical reference known as plaque which is the direct cause of the gingivitis infection. If the plague is not attended to during the initial stages, it produces harmful toxins which together with the bacteria cause irritation to the gum tissue. This causes an uncomfortable and painful gingivitis tartar in the gum line. The signs of gingivitis include swollen gums, painful gums and surrounding teeth while eating or brushing teeth. Redness in the gums, bleeding gums, foul breath and redness around teeth is a symptom of gingivitis. They result to receded gums that expose the teeth roots. Acute gingivitis results in a foul taste in the mouth and loss of teeth. Gingivitis is a curable infection. The following are some home remedies that one can practice reducing the adverse effects of infection or even cure it completely. Food particles stick in teeth after each meal. A person with gingivitis should brush regularly, particularly after every meal. Brushing teeth while maintaining a 45 degrees angle against the gum line is recommended since it ensures that the patient removes most of the food that has accumulated. Gently brush the chewing surface of each tooth using back and forth strokes, and do not forget to brush the tongue since it harbors a lot of bacteria if not cleaned properly. This should be done using a soft brush to prevent bleeding gums. The patient should adapt a proper flossing technique that involves using at least 18 centimeters of dental floss. Leave at least an inch or two for working with as you follow each curve of your teeth while avoiding contact with the gums, this is painful and it can result in cause bleeding gums. The most infected areas should receive special care so as to reduce the accumulation of bacteria; however, this should be done with a lot of care to avoid bleeding and painful gums after brushing or flossing. 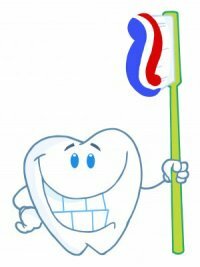 Brushing teeth with products that contain Fluoride help to reduce bacteria build up in the mouth. These come in dentist recommended toothpaste and mouthwash rinsing fluids. It is advisable for the gingivitis patient to use tooth paste and mouthwash that contain clove oil, neem, babool, holy basil, chamomile, menthol, sage oil, and peppermint oil since they help to reduce bacteria and keep the mouth fresh. Thorough brushing of the teeth does not cost much, and it can be done at the convenience of the patient. Using clove oil as a ‘dental alternative’ medicine for painful teeth dates back many centuries. The scientific plant Eugenia aromaticum well known as clove oil is extracted from the clove plant that originated from Indonesia and India. Medical studies have proven it to have antibacterial and analgesic qualities, which make it, suitable for relieving pain. Clove oil is found in its raw form or the form of herbal formulated alternative dental medicine. It is a cheap and reliable natural alternative of dental care as it is particularly helpful to cases of dental ailments resulting from bacterial infections. The instructions for using clove oil are easy. The patient should put a very small amount on a cotton swab or a piece of cloth and gently rub it against the infected area. This helps to numb the pain and reduce the bacterial multiplication that causes the plague. Adding a clove or two in a mug of tea also relieves the pain. Chewing a clove or two helps to relieve pain and keep the mouth fresh. It has a strong, unpleasant taste, and it should be handled with care since it can lead to harmful side effects such as liver inflammation, and respiratory problems if accidentally ingested in large amounts. Neither pregnant women nor children under the age of two should use it. People using blood thinners should also avoid it since it is a strong blood thinner too. Aloe Vera has been in existence for the last 5000 years, and it is proved to have healing qualities. Egyptian Queens used it to improve their beauty appeal, and the Philippines used it to heal kidney infections when mixed with milk. It has been used numerous times to clean teeth and reduce gum infections. It eliminates the accumulation of bacteria that cause plaque leading to gingivitis. It contains proven chemical attributes that relieve pain and soothe inflamed teeth and gums. Extract the gel from a freshly leafed Aloe Vera plant and apply on the infected area without swallowing. Aloe Vera gel can also be put in a glass of warm water and gargled in the mouth by the patient after every meal. It contains antibacterial compounds without the abrasive qualities of chemical antibiotics. Baking soda is recommended for many home remedies due to its lucrative nature. It was introduced as an oral hygiene aid in the 1970s, and early 80s by a hygiene program called the Keyes technique that recommended that people with gum infections use a mixture of salt, baking soda, and Hydrogen Peroxide to reduce the infections caused by harmful bacteria. Rubbing teeth and gums with a little baking soda while brushing is effective for treating gingivitis. It is easy to use since it is a mild abrasive that kills the bacteria in the mouth hence reducing the plaque. Salt has stood the test of time in its use as a natural disinfectant for home remedies. Dissolving a tablespoon of salt in a warm glass of water and gargling it after every meal kills bacteria and keeps the mouth fresh. Triphala is an Indian name meaning three fruits that are made out of an Ayurvedic herbal formula that consists of equal parts of three dried fruits called the myrobalan; Bibhitaki, Haritaki and Amalaki, taken without seeds. A tablespoonful of triphala powder can also be added to this to make a solution that is effective in fighting harmful bacteria that cause gingivitis. It has been proven to have chemical compounds that boost the body’s immune system. It is used in the gingivitis patients’ home care since it is an anti-toxicant. It boosts healing in the infected areas in addition to being a strong bacterium repellent. The use of triphala for dental care is safe; however, it should be used in small quantities since excess ingestion may trigger diarrhea, gastrointestinal side effects such as acid reflux and gas. Most of the food that we eat contains bacteria that remain in the mouth cavities. This goes on to cause plaque which causes gingivitis. To avoid more damage to an already infected mouth, the patient should avoid eating too many sweets and sugary foods because sugar boosts bacterial multiplication. Fresh fruits and nuts provide ample minerals for the body as well as the gums. Green leafy vegetables, carrots and calcium filled foods are recommended for the healing process. Cheese and yogurt intake have also proven to control and reduce the amount of bacteria in the mouth. At last an informative and truly helpful page, thank you!! I intended to find an answer to my immediate question and move on, but continued reading complete article and learned quite a bit of useful information, to address my current issue, things to keep in mind not only for myself, but others who may seek information regarding overall dental care and health. Thank you!